Well I hope you all enjoyed our THIRD winner in 2 weeks. We’re on an incredible hot streak at the moment and I hope it continues. 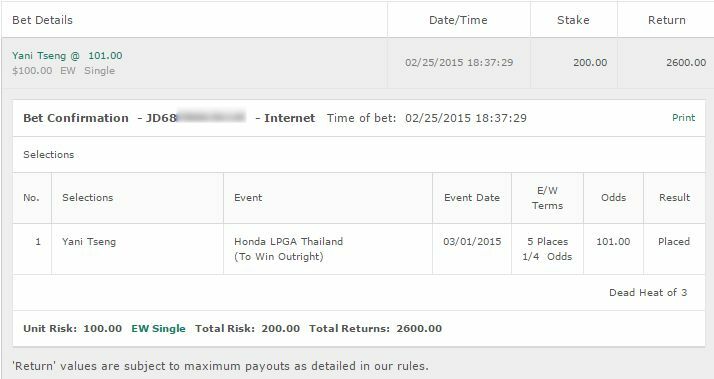 A week after I picked both a 9/1 winner and a 50/1 winner I was able to pick an 18/1 winner as Amy Yang dominated in the Honda LPGA Thailand to take that one home for us. It’s funny as the LPGA was almost an afterthought last week. I completely forgot the tournament was happening and I was debating even doing the tips for it. Glad I bloody did that’s for sure! Please note that there will NOT be any LPGA Tips this week. 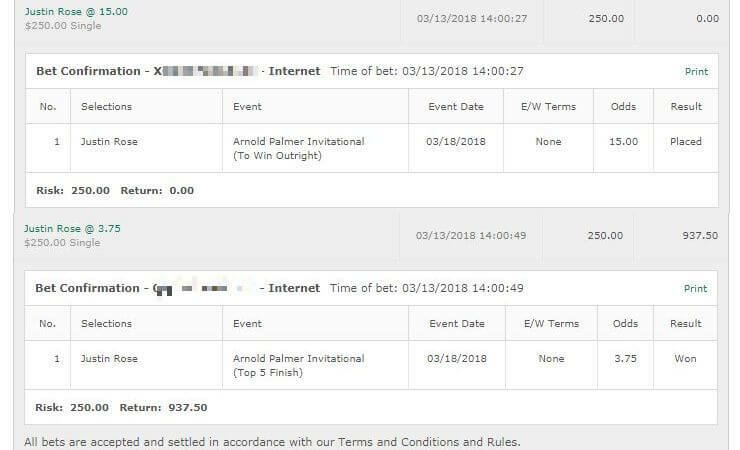 Do me a favour – if you’ve profited off any of these huge winning tips take a few minutes and share GolfBettingTips.org online for me. On your website, on your Facebook or Twitter – whatever. The more people I have reading the more motivated I am to continue writing these. This week we’ve got the WGC Mexico but it’s a rather difficult one to handicap. Not only are they playing at a new course but this one has the clubhouse at about 8000 feet above sea level and it’s going to make for quite a mess. 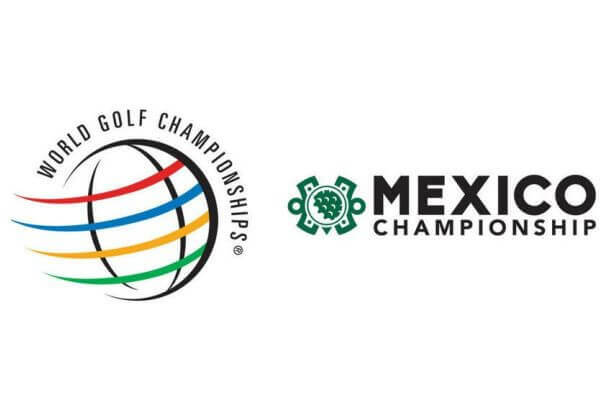 So yeah it’s a whole new course as Mexico replaces the Trump Doral – funny that. With the height difference it’s going to be fun with a LOT of birdies etc. I’ll be honest – I don’t have a lot of confidence in myself this week for handicapping the WGC Mexico Championship. It’s a very tricky one. So I’m going to take a unit and split it over 4 and this is more for entertainment purposes. 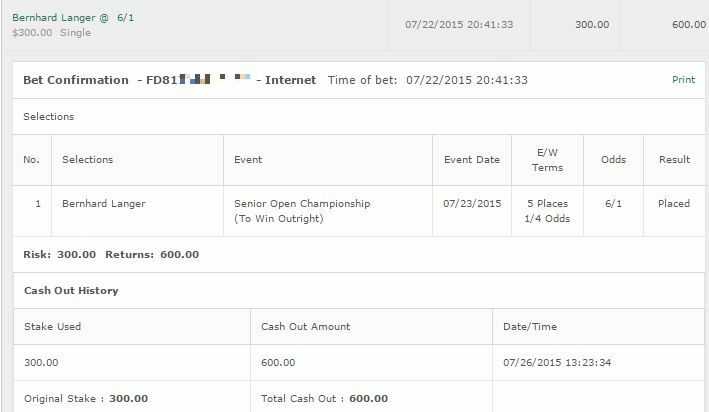 And actually one additional bet on Danny Willett 110/1. Anthony Michael 200/1: 3rd place last year here. He didn’t play much on the European tour last year either. To be honest I liked what I saw from him at the Joburg Open. He had 3 fairly solid if unspectacular performances and at the Tshwane Open, solid but unspectacular is usually what can get you a place. As long as he keeps up that consistency we could have a big cash. Darren Fichardt 33/1: Fichardt had an amazing win on the Joburg Open last week. With all the weather issues etc he could be raring to go here at a tournament where he has had two top 10 finishes. I’m never a big fan of backing back to backs but with the weather issues I could see that changing things. Dean Burmester 14/1: You can usually find Dean at the top of the pack and he’s really starting to warm up. With two great performances here in the last two years I’m comfortable backing him on this one to make it 3 in a row for the Top 5. And actually I can’t find a 4th, therefore I’m going to recommend a half unit bet on Dean as I feel comfortable enough with that.